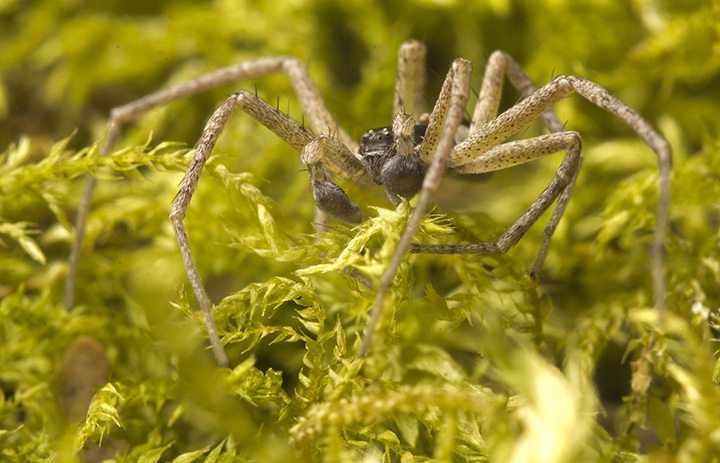 I just handed in a near-final draft of my predation paper, so I took a stress relief break to photograph some spiders. 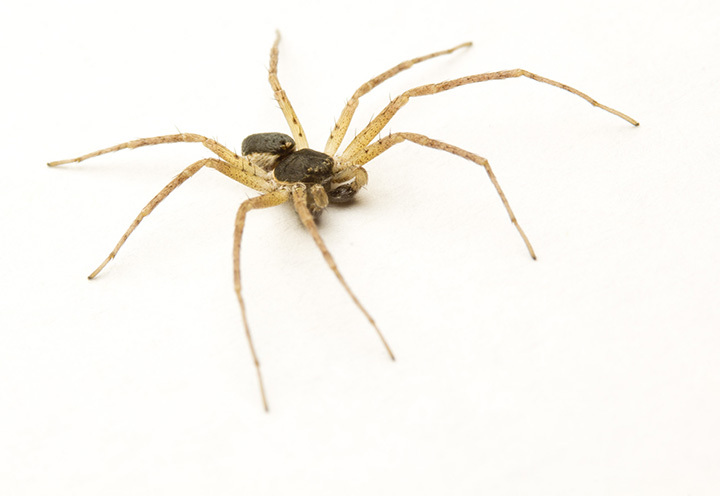 The philodromid (Running Crab Spider) is a male Philodromus dispar that we found on the way into the lab this morning, but the other one I do not know. Any ideas? UPDATE: this may be Neriene digna, a Linyphiid. ← Cheapskate Tuesday 14: Fenix E-05: a handy little flashlight! They are quite beautiful, actually. And I am not a great friend of spiders. But it is amazing how many spiders, snakes, rats, gerbils, fish, crows (still don’t love them, but I know you do, so I try. They kill so many of the baby birds that I love. But in your honour, I admire their cleverness and ingenuity.) So thank you for all you taught me. And even planes and things that fly that my other son Colin loves so much, I am losing my fear (well, almost!) of flying. Thanks to you both, my sons. Proud of both!!! 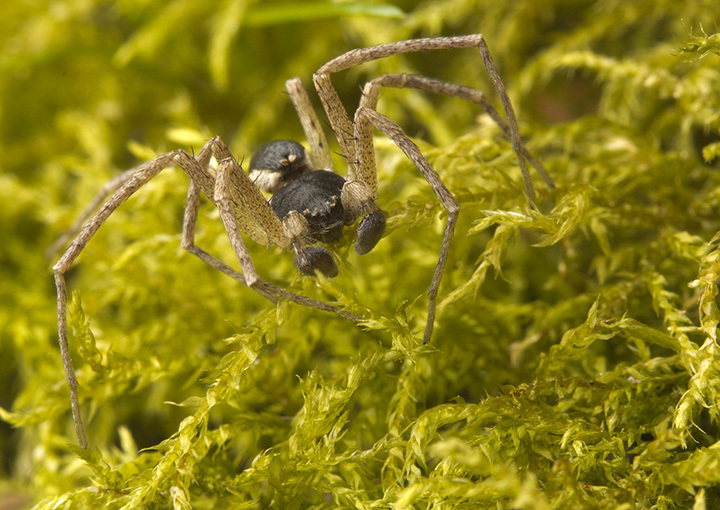 Just hazarding a guess but I wonder if your unknown spider might belong to the Enoplognatha genus. The eye configuration looks about right. 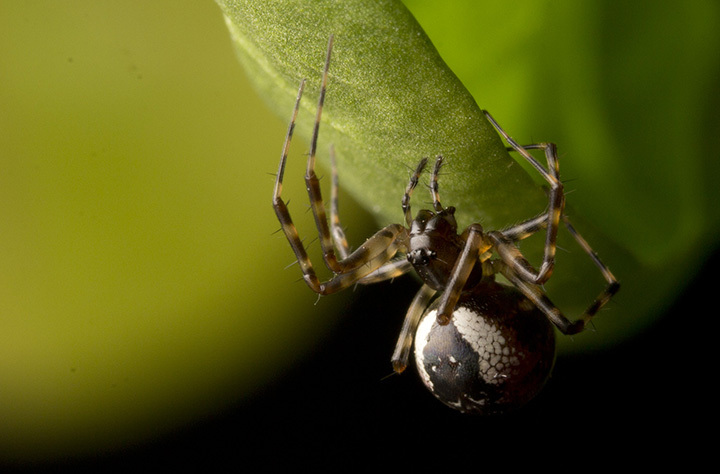 E. ovata (candy stripe spider) has a number of colour morphs and I read one was quite dark without any cherry red on it at all. I shot two outside my back door and I went to Bug Guide to if I could ID it. I became more familiar with that species after reading up about it. You could always post it to Bug Guide’s I’D page and ask there. 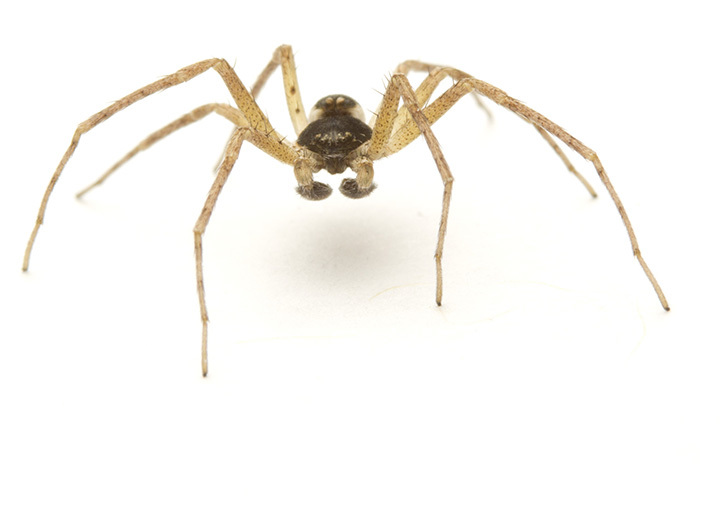 True, it could be Enoplognatha, but Neriene also looks good. I have posted it to Bugguide and shall see what they say! Thanks for the help!